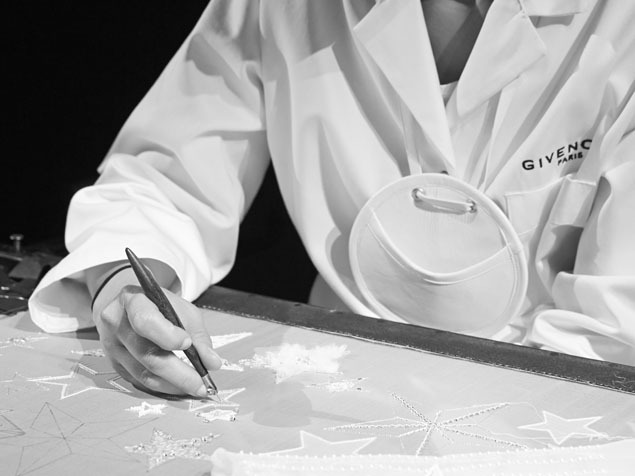 Discover the unique savoir-faire behind the new GV3, the first handbag collection from Clare Waight Keller. Taking its name from the initials of the Maison’s landmark address on the Avenue George V, number 3, the GV3 marks a defining moment in Givenchy’s history as the first handbag in a new collection from Clare Waight Keller. A study of contrasts, the GV3 embodies the duality that runs through the heart of the house. 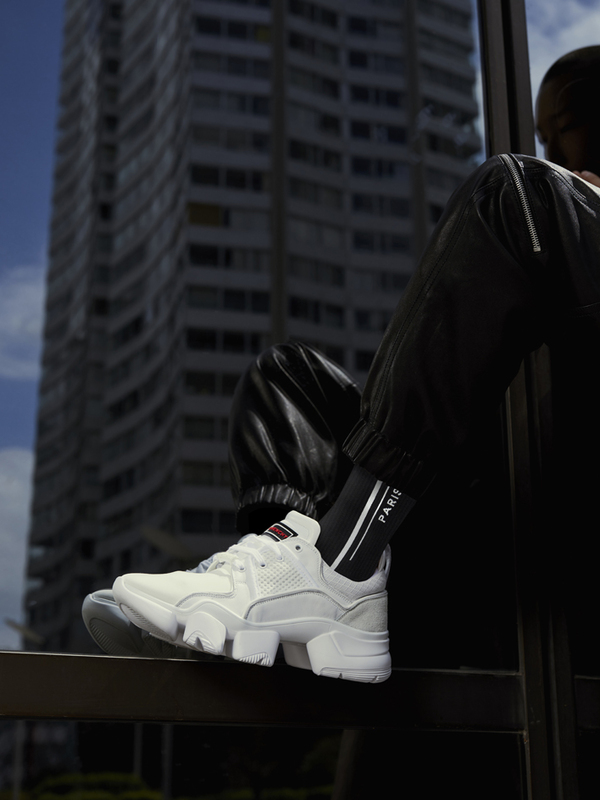 Polished yet practical, paying homage to the past yet embracing today. Two halves as a whole, symbolized by the iconic, interlocking Double G clasp. Its structured frame is paired with soft, tactile leathers of the highest quality. Shiny goatskin, selected for its natural grain is paired with matt lambskin, gently dabbed by hand using a ‘Tamponato’ finish to give more depth to the leather, while retaining its unique character. Exotic leathers are individually dyed and hand-painted. Once polished and assembled together by hand, every raw seam is finally hand-painted for an impeccable finish. Elegant yet versatile with its dual chain and removable leather strap, the GV3 bag offers endless ways to wear. The Double G magnetic “kissing” clasp and lift-up mechanism enables it to be opened and closed effortlessly with just a single hand.